Pay will be based on the Teacher Salary Schedule for the periods of teaching and a portion of prep time. We are an equal opportunity employer committed to providing career opportunities for all people without regard to race, color, religion, gender, age, national origin or disability. 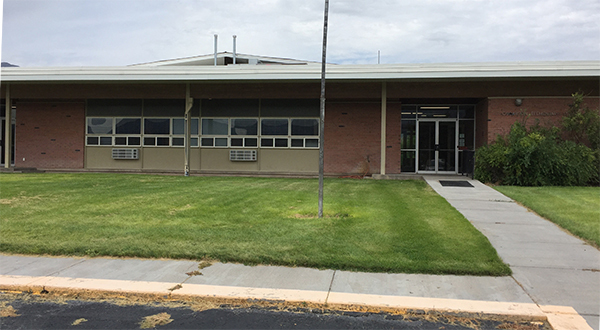 Piute County School District is experiencing an increased number of students out with illness. Currently the state of Utah is reporting that influenza and influenza like illnesses are in the high category with 93 percent of the health districts in the state reporting confirmed cases of the flu. As educators, we are extremely concerned with not only the education of our students, but also their health and well-being. We would like to remind parents to keep their student home if they are sick. When and if it becomes necessary to keep your student home from school, please understand, as educators, we will do everything that we can to continue to help your student be successful. The school district, school nurse, and Department of Public Health have put together some criteria to help parents recognize possible illnesses. If parents detect any of the possible symptoms of prevalent illness(es), they should consult the table below and follow the protocol as far as missing school is concerned. As treatment options and symptoms vary for many illnesses, we would like to remind you to consult with a physician if symptoms persist. The Public Health Department is encouraging people to take preventive steps to help slow the spread of the flu. Melissa Gleave, the school nurse, said “We are currently seeing confirmed cases of influenza, as well as flu-like symptoms. Whether it’s the norovirus, influenza or strep throat, it doesn’t take much for it to spread from person to person.” It is important to remember that during the winter months, there are a number of other illnesses that circulate in the community. “Stay home, that’s the best way to stop the spread of germs,” Gleave said. Parents should not send their student to school if they have a temperature at or above 100 degrees, experiencing diarrhea or vomiting, or have a rash covering their body. Students with these kinds of symptoms should be kept at home and be symptom free for 24 hours before returning to school. It takes preventive measures from parents, students, and faculty to help stop the spread of illness. Pertussis (Whooping cough), Measles, Rubella (German Measles), Mumps, Meningitis, Tuberculosis, Hepatitis A and B, Gastroenteritis (Giardiasis, Shigellosis, Campylobacter), and food poisoning. 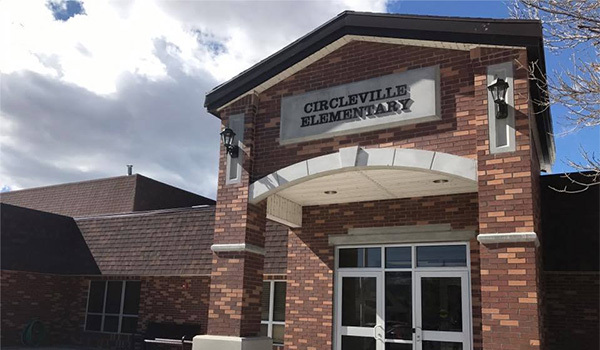 If you have further questions please contact the following: Junction Health Department or school nurse at 435-577-2521, the district office 435-577-2912, or the Richfield Health Department 435-896-5451. Piute_Guest is the SSID that you need to use. 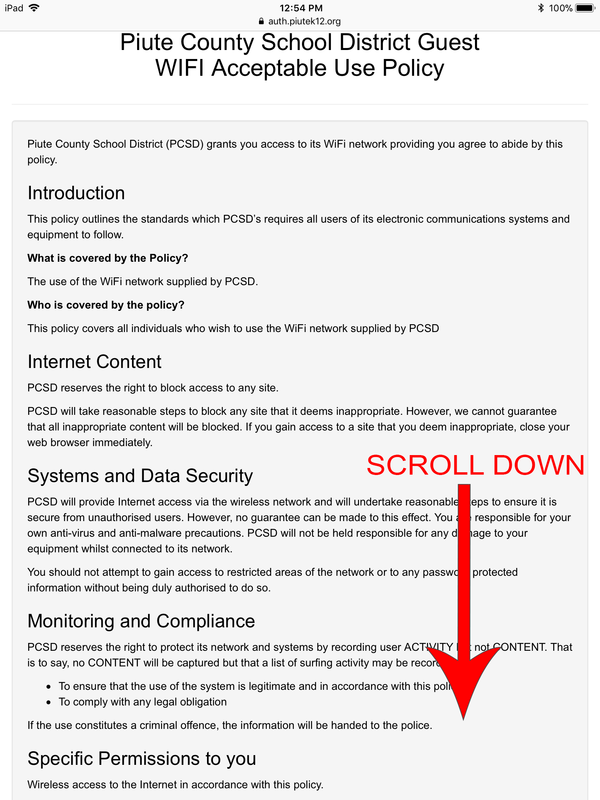 There is not a password on the network, only a captive portal login page. IF YOU HAVE BEEN CONNECTED TO THIS NETWORK IN THE PAST YOU MAY NEED TO REMOVE IT FROM YOUR REMEMBERED NETWORKS. 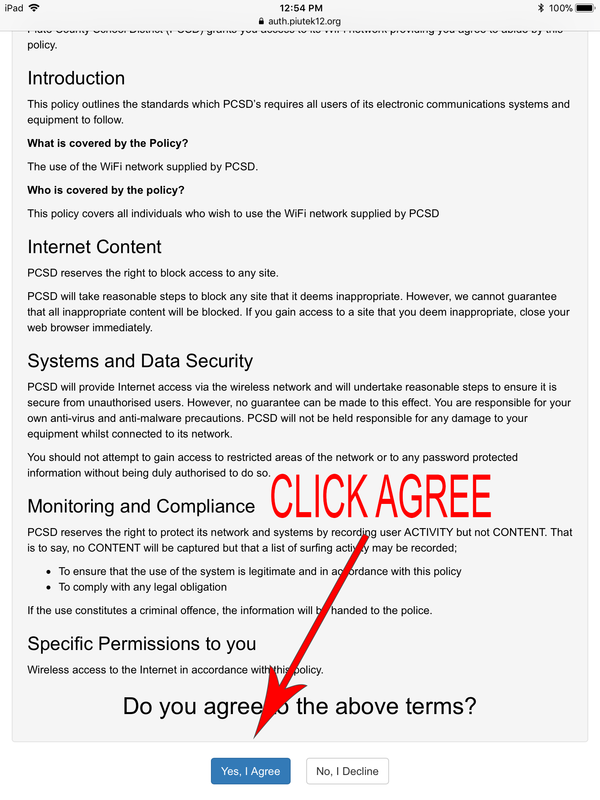 **Notice: use "http" and not https. You will be redirected to "Terms of Service". Please read and click "yes" to gain access. You will be held to these standards. After clicking "yes", you will be directed to a login page. Google accounts are the only accounts accepted at this time. 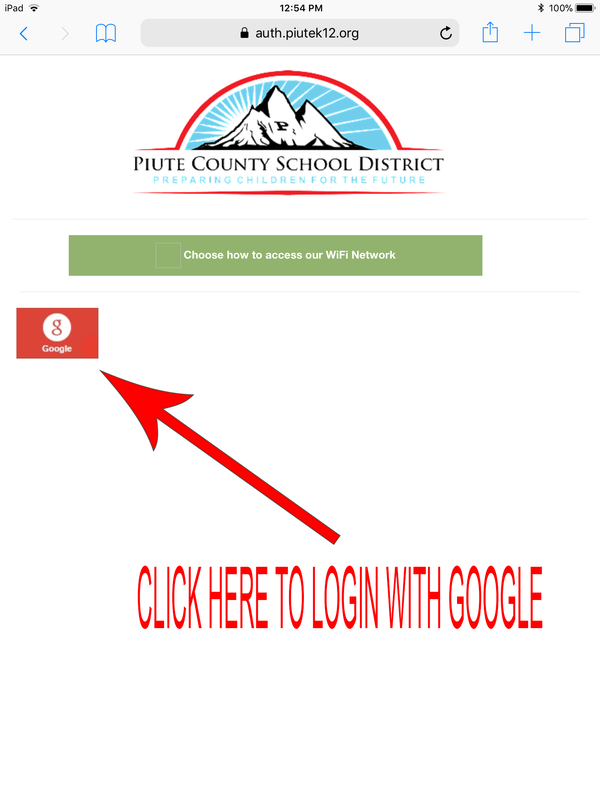 Click on Google, and login to be connected to the internet. Log in using your firstname.lastname and your password. 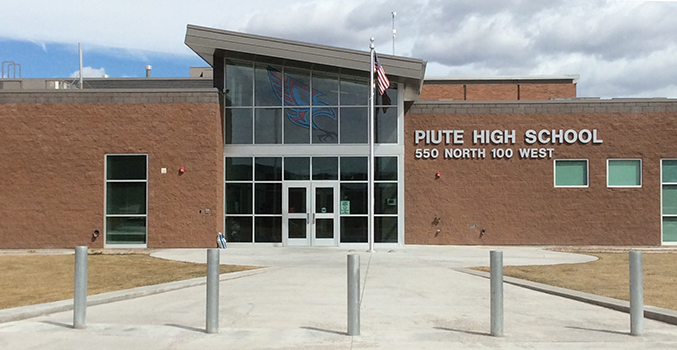 RT @PiuteHigh: GOOD LUCK to the Piute golf team today at their golf meet in St. George!